As if you needed any more illustrations of the shady landscape of under-the-table dealings that exists on the distribution side of the beer industry, the Alcohol and Tobacco Tax and Trade Bureau (TTB) have provided one from what is perhaps an unexpected source: A privately-owned German brewery. 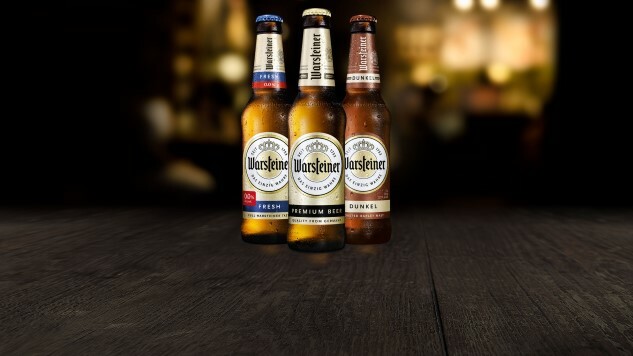 News arrives today that the TTB has accepted a $900,000 “offer in compromise” from Warsteiner Importers Agency Inc. for alleged violations of the trade practice provisions of the Federal Alcohol Administration (FAA) Act. Or in other words: Warsteiner Importers Agency Inc. settled allegations of a massive pay-to-play scandal, which presumably must rank among the largest that the TTB has ever uncovered. The $900,000 fine is the largest single offer for trade practice violations that the TTB has accepted to date, according to the Cincinnati Business Courier. Warsteiner paid for equipment for dedicated tap lines in a so-called “pay-for-play” arrangement, TTB spokesman Tom Hogue told me. It also paid for or sponsored events in exchange for exclusivity for its products, meaning other beer companies weren’t allowed to sell their products at those events. Hogue didn’t have specifics on which events those violations involved. Both are violations of trade practice laws. As much as craft beer fans would prefer to believe that pay-to-play operations are only the realm of AB InBev and MillerCoors, the unfortunate truth is that this simply isn’t the case. Although AB InBev in particular has been repeatedly stung and fined for these types of infractions, some craft beer distributors have also been fined for the very same actions. And in this case, the culprit is the distributor of an independent German brewery—fairly close to what we would refer to in the U.S. as “craft.” The takeaway, no doubt, is that graft happens at all levels of business, both small and large.